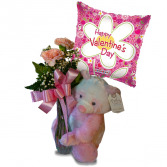 This sweet supper soft pink and white panda comes with a Mylar balloon and two carnations in a bud vase. 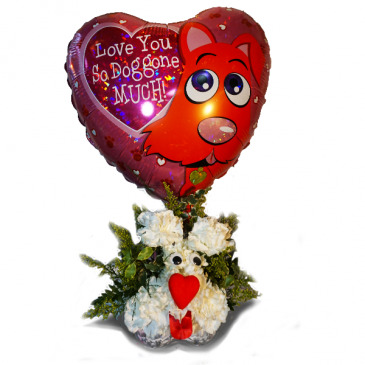 Small plush bear holding a heart added to a small bud vase with a pink carnation. 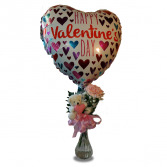 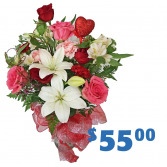 We have added a Mylar balloon to make this a special treat.